Real estate is a wide-ranging field. There are numerous tasks and operations that take place, and many of the activities which happen onsite and offsite require forms. Real Estate forms are available in tall variety. Each real estate form has a distinctive format, shape, and use. Each real estate has a certain purpose which it is supposed to fulfill. 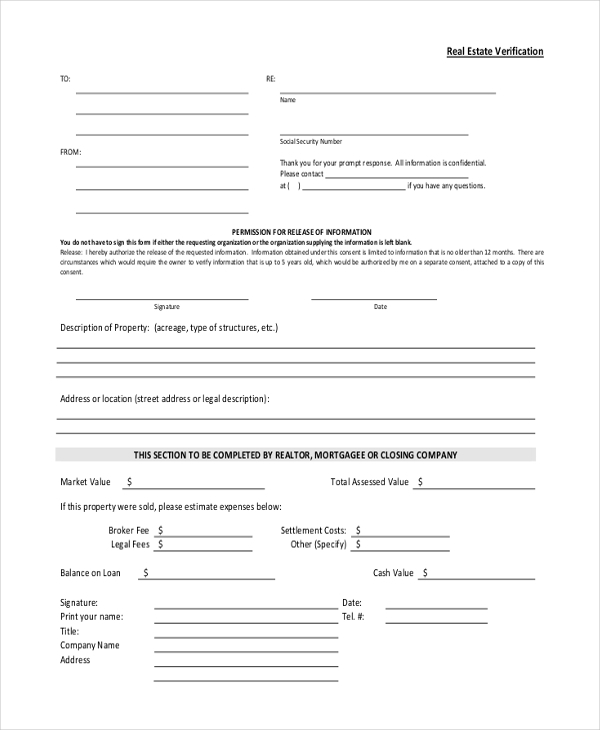 In the following compilation, we have put together the types of real estate forms which are used widely and frequently. 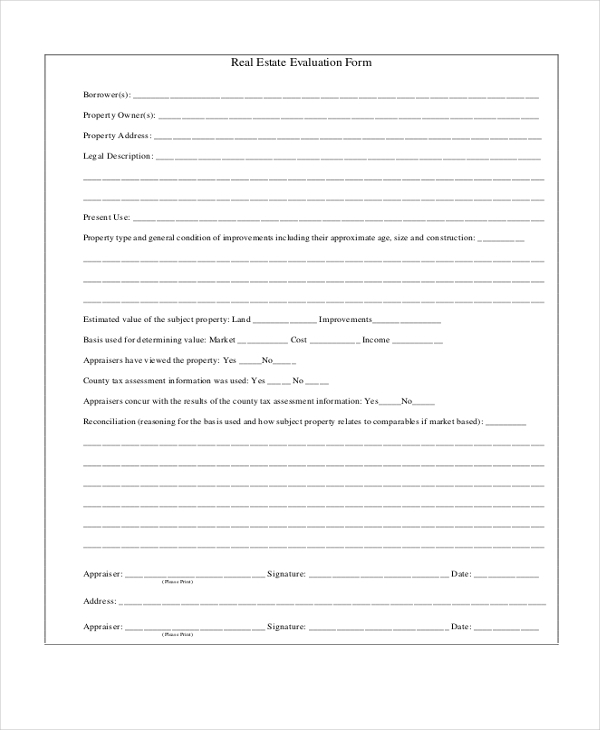 A real estate appraisal form is bought in the scheme of things when a potential buyer or seller wants to seek an accurate opinion of the market value of the subject property. The form has an abundant number of fields wherein details about the property are to be specified. On the basis of the information enlisted, the final outcome of the report is generated at the end. 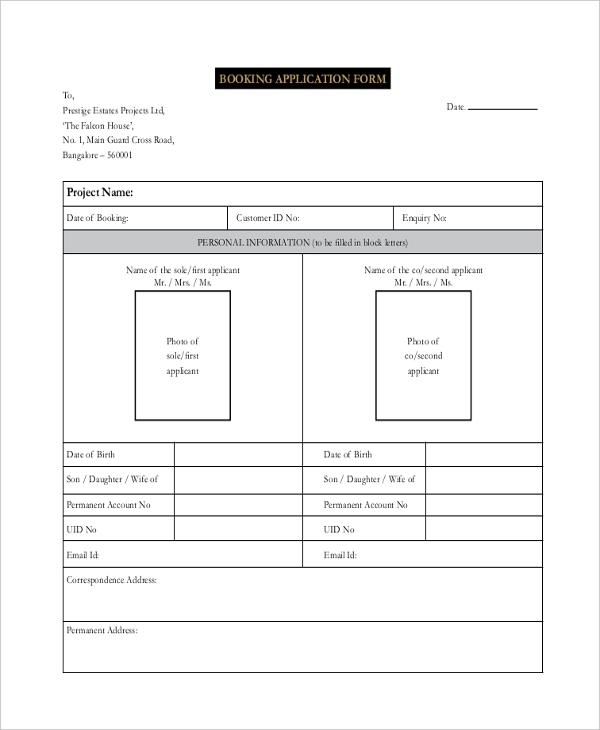 If there is a real estate entity which a potential buyer is interested in, he or she must fill up a real estate application form for booking the subject property. All personal and financial specifics of the interested party need to be specified in the relevant field. Also, unit details, source of details and payment details must be given in the form. 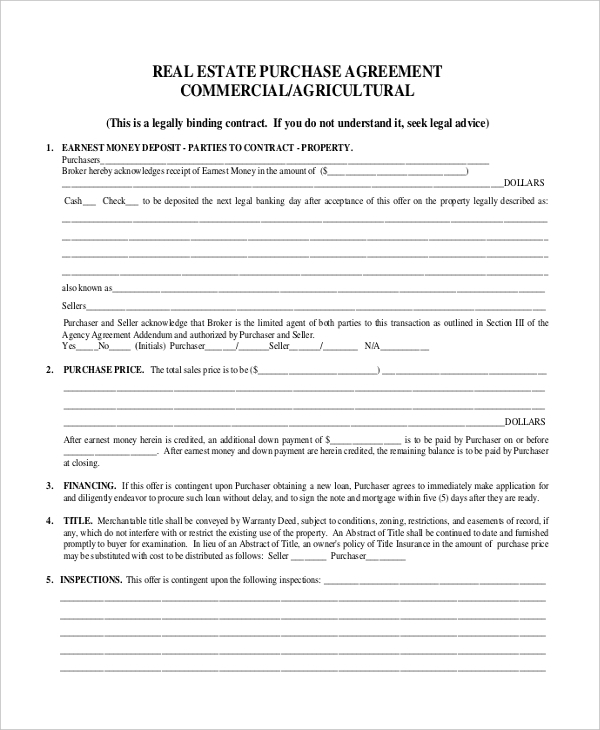 A purchase and sale real estate agreement form is used in scenarios wherein the buy-and-sell of the subject property has been finalized between the interested and intended parties. Name of the seller and buyer, along with the address of the property agreed to, purchase price, earnest money, closing, expiration and possession date also need to be furnished in the form. 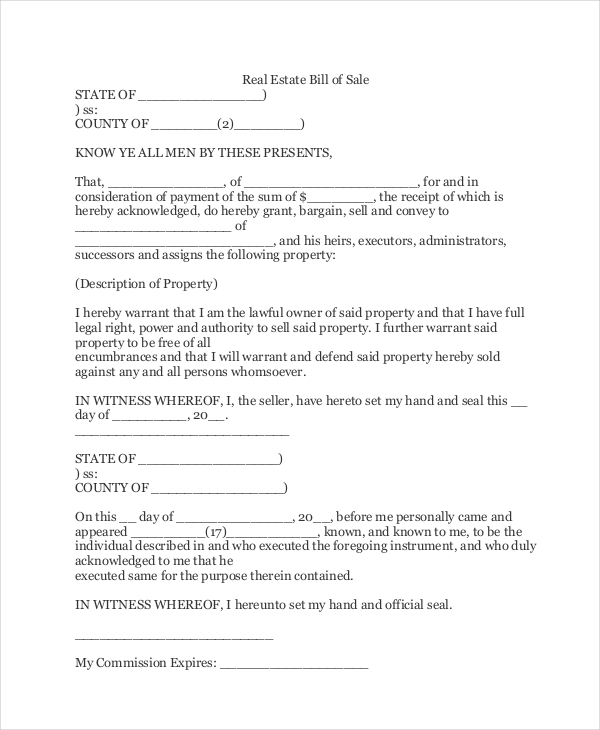 A real estate bill of sale form is used as paperwork to certify the transfer of personal property. This kind of form is particularly useful in situations where its user is transferring a property as security for a loan or debt. 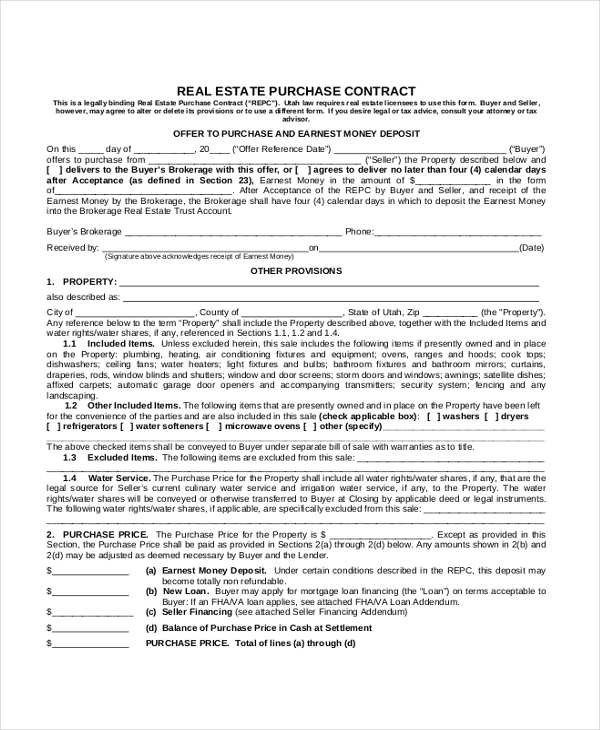 A real estate contract form is a legal binding document which is used to validate the sale and purchase of a particular property – residential or commercial. All the particulars pertaining to the buy and sale of the subject must be indicated correctly corresponding to the relevant fields in the form. A real estate disclosure form is essentially filled by the existing property owner. 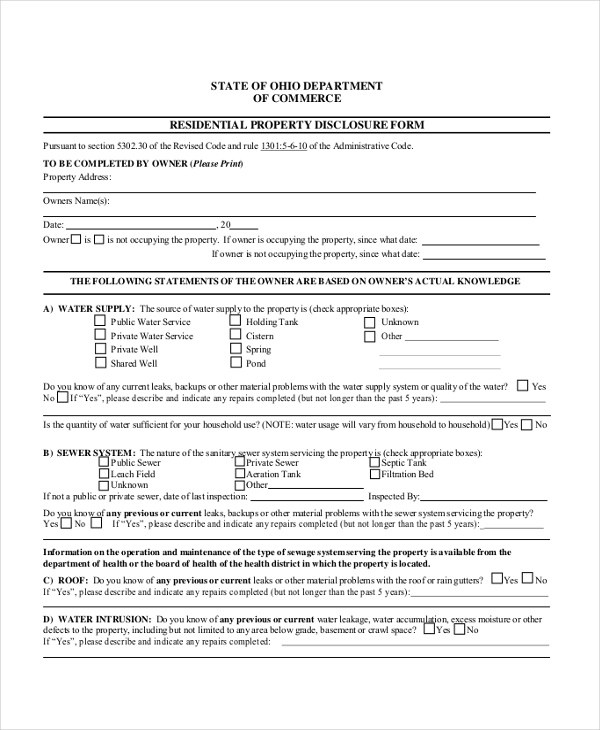 The contents specified in the form are an admission that the existing owner is giving this form as a statement that he is knowledgeable of certain conditions concerning the property. A real estate property evaluation form is basically brought forth when matters of Real estate appraisal, property valuation or land valuation are in the spotlight. 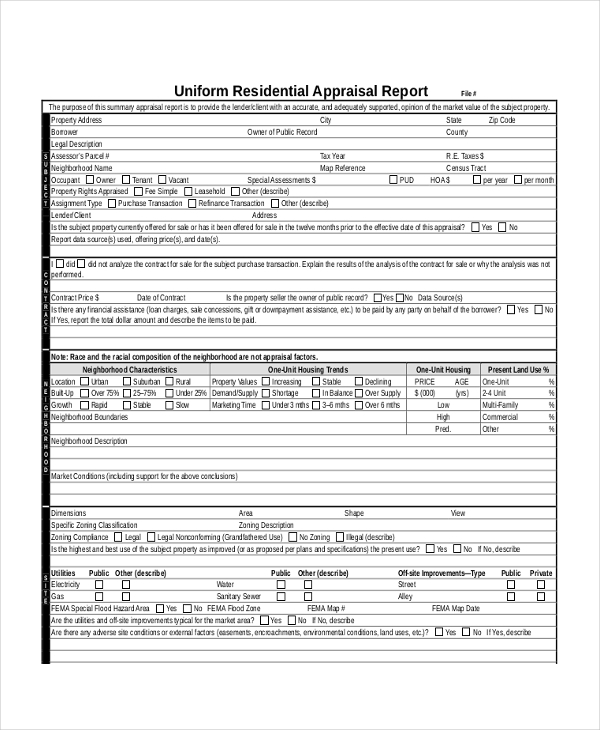 This form is populated by appraisers after evaluating the condition of the said property, and then working out on its value given on the current price trends of the market. 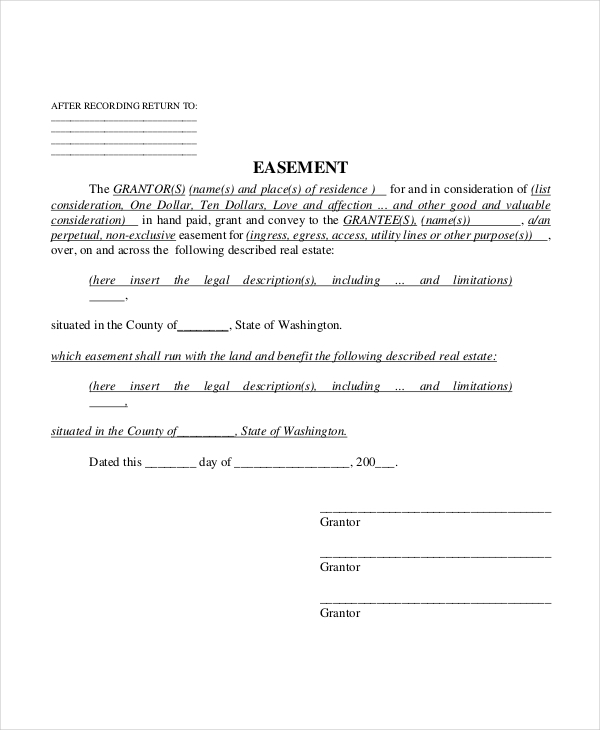 A Real Estate Easement Form is handy in scenarios wherein the existing owner of a property wants to let another individual use or occupy his property without letting go of his ownership and rights on the property. 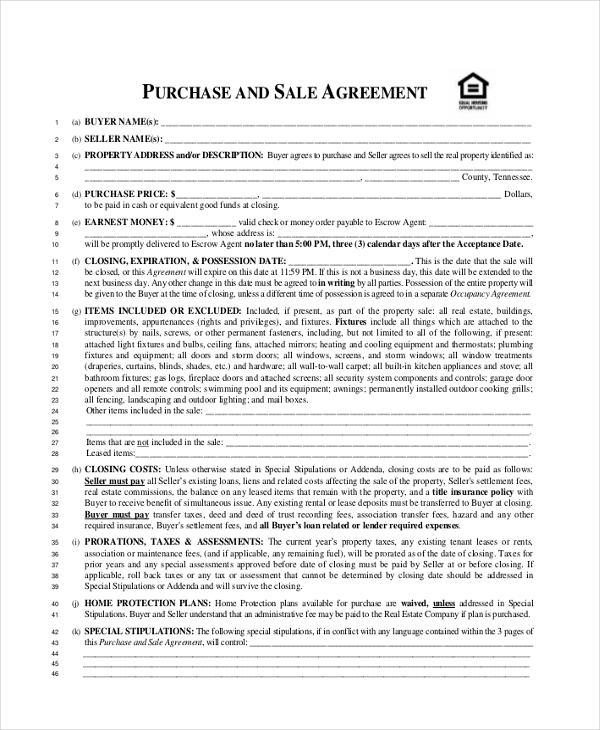 If a current owner of a property wishes to award the rights to manage and lease the subject property to his real estate agent or broker, the intent can legalized by expressing the same on a real estate form wherein the name of the current owner and real estate agent/broker is mentioned, followed by the terms and conditions of the arrangement. If and when an individual should decide to buy a property, his realtor will proceed and fill up a real estate offer form. The form contains the date of the offer and the property description of the property the offer is made on, the amount of deposit and the amount offered. Once the offer becomes accepted, the same becomes a contract between the parties involved. When an agreement is reached regarding the buy and sale of a property and all terms have been agreed upon, the final step on the ladder is to pen down the same on a real estate purchase form defining that the process of buy and sale of the property is underway. All financial details need to be spelled out correctly. 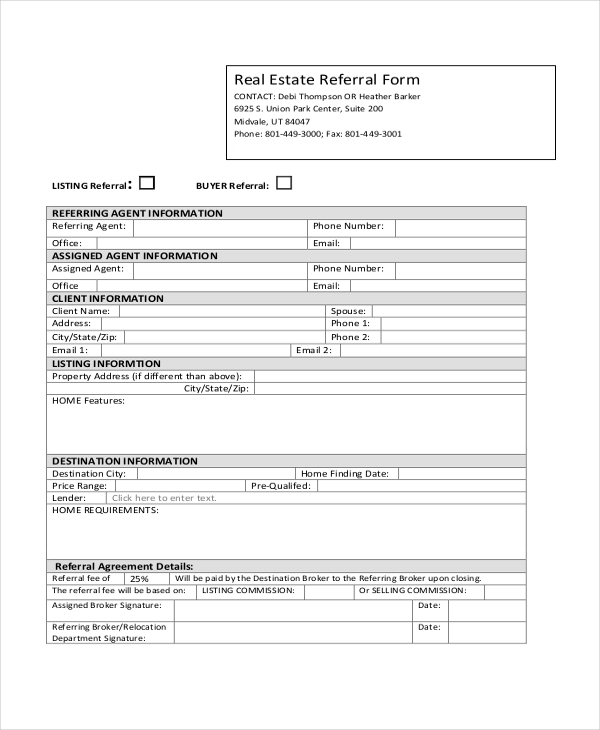 A real estate referral form is basically a document which specifies the details of a referral activity or the buying or selling of a property. The referring agent’s details along with the assigned agent’s details need to be mentioned in the form. Also client information, listing information, destination details, referral agreement terms need to be indicated in a precise manner. 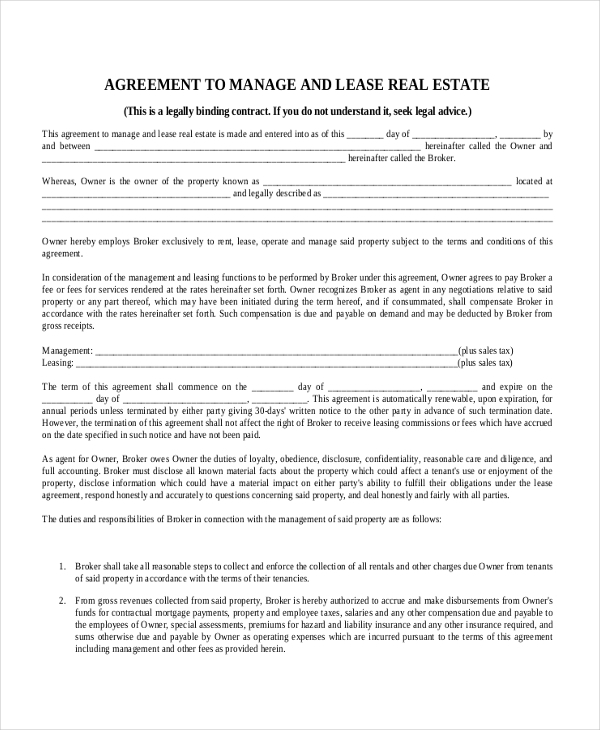 After the successful selling of a particular real estate property, a real estate sales contract form is brought about to specify the details of the deal on the dotted line. 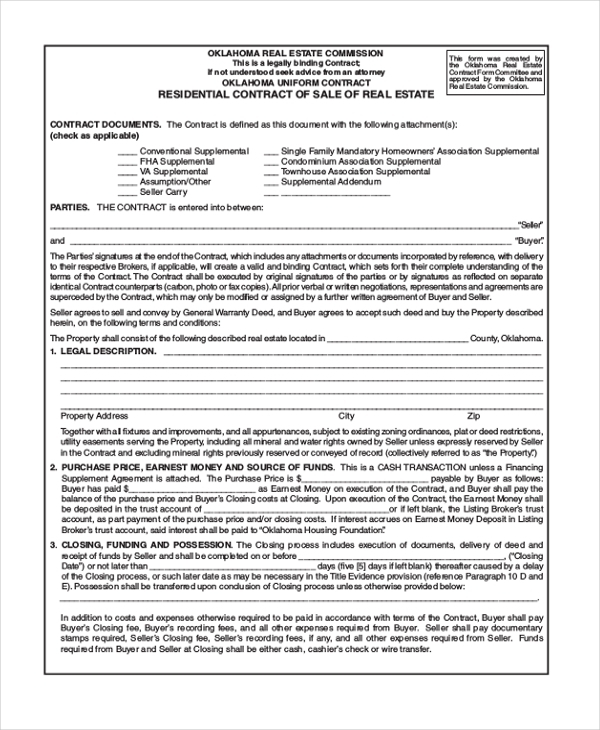 This kind of real estate form is very elaborate due to the fact that there is a long time of subheads with multiple fields that need be filled accurately. 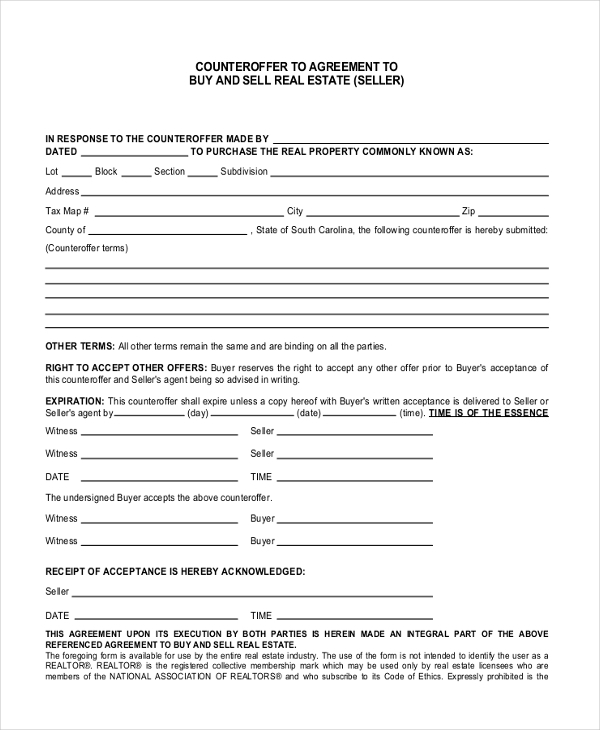 A real estate verification form comes handy in situations when there is a need to authenticate whether any transactional activity has occurred to indicate the buy or sell process is initiated or completed. The broker applicant’s name, date of the transaction, location of property, type of transaction, description of the broker’s involvement need to be accurately specified. In case a property buyer is interested and has finalized his intent for buying a commercial real estate property, he needs to populate a commercial real estate form expressing the same as well as the transactional specifics agreed upon for buying the said property. The target audience of real estate forms is property buyers, sellers, real estate agents and brokers. In principality, these four categories of people are what is needed for a real estate form to hit home – pun unintended. The core functionality of real estate form is to specify the terms and conditions as well the details of a real estate transaction of the deal. The primary use of real estate forms is that they act as recorded proof of the actions which have occurred upon a real estate property. Be it a real estate sell-out or purchase, or transfer of rights, tenancy, rental, renovation or repairs. So as long as there are real estate firms, real estate buyers, and sellers, agents and brokers can have a sigh of relief that there is a real estate form available for every situation and scenario – conflicted and otherwise. 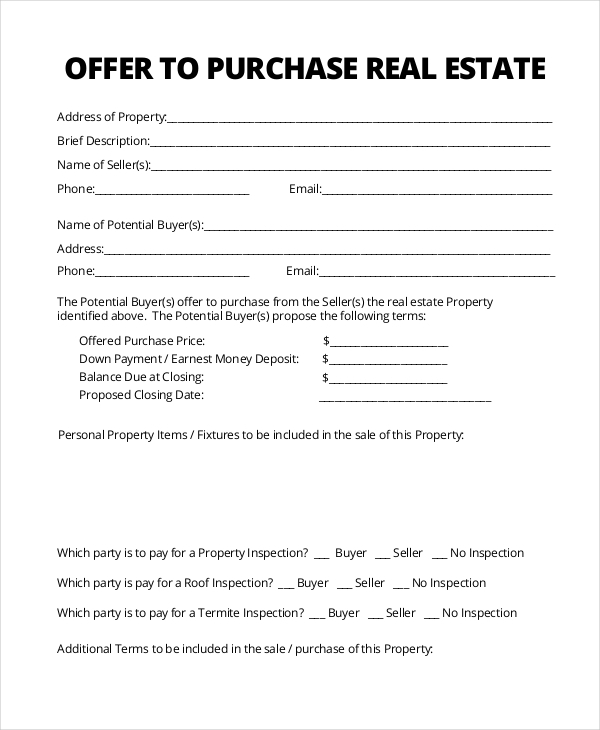 Real estate forms are a great tool for creating a network of potential buyers and sellers. The forms are great cost-cutters, they are inexpensive. Moreover, real estate forms are believed to be great for branding exercises. And whoever said you need to have real estate forms in hard copy. Soft copy real estate forms are the call of the hour and in great demand. A great number of real estate companies have wasted no time in uploading the array of forms online. Existing and potential clients can fill up the relevant form and email it directly! Real Estate is tricky business. The minutest details cannot be overlooked because the buy and sale of a property are at stake. Thankfully there are several real estate forms which exist and are available for tackling the issues of real estate matters in a professional manner.